Neymar is a world-renowned professional football player. In the recent years he has played for FC Barcelona representing Spanish club and the Brazil national team. The young talented football player recognized for his unmatched dribbling skills, acceleration and speed. His eclectic playing style garnered him huge praise from soccer fanatics and game critics. He has been compared to former Brazilian player Pele who applauded his excellence in the field. Other top-tier players like Ronaldo and Messi also approved of his game and predicted his progress as the best soccer player. He earned numerous accolades and awards for his amazing performances throughout season. On 5 February 1992, Neymar da Silva Santos Júnior was born in Mogi das Cruzes, Brazil. His father Neymar Santos, Senior was former football player who coached him as his talent grew. Neymar combined the two sports futsal with street football when he played as a kid. He played for the young team of Portuguesa Santista in 2003 as his family moved to São Vicente. Later he was inducted into youth academy of Santos FC as they relocated in Santos. 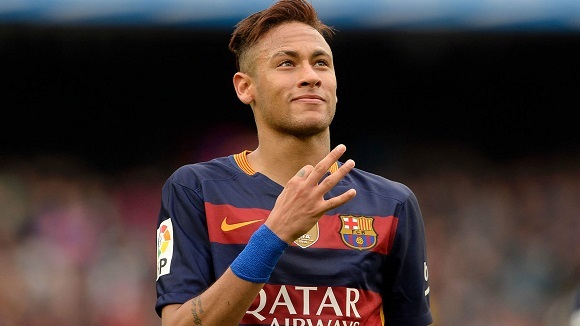 While he was still in his teens, Neymar’s successful career also resulted in his increment in his financial assets. He had been able to afford to buy first property, a house next to the Vila Belmiro. Their living standards improved as he was on monthly payroll of 10,000 reais, which kept increasing every year. Turing 17, he signed his first contract as a professional player playing for Santos. In 2009, Neymar made his professional debut at the age of 17. He was brought in for the last thirty minutes of the game despite being underage. In the next game against Mogi Mirim, he scored his first professional goal followed by his decisive goal that earned his team victory against Palmeiras. He racked up 14 goals in 48 games of a single season. His stunning performance continued in the following years. In 2010, he scored goals playing in the Brazilian Cup during the qualifying stage. One of the English Premiere League team West Ham United placed a bid on him for 12 million pounds which Santos FC rejected. It is reported that the club was even offered the amount of 20 million pounds for Neymar’s transfer to English Club, but only to meet refusal from both the player and the club. Despite his impressive track record as a goal scorer, Neymar created trouble on the field. In a 2010 incident, a tiff between him and his manager had his manger sacked. His attitude on the field and with his manager was the cause of the fallout. It was the same year when he was ranked third for the 2010 South American Footballer of the Year. He continued his successful career despite ups and downs. In 2014 he fractured vertebra in his spine in the quarter-finals of the 2014 FIFA World Cup but not before he scored four goals in the game. He is assigned the number 10 shirt.